Explanation: When morning twilight came to the Paranal Observatory in Chile, astronomers Mark Neeser and Peter Barthel interrupted their search for faint quasars, billions of light-years away. And just for a moment, they used Very Large Telescopes at the European Southern Observatory to appreciate the beauty of the nearby Universe. 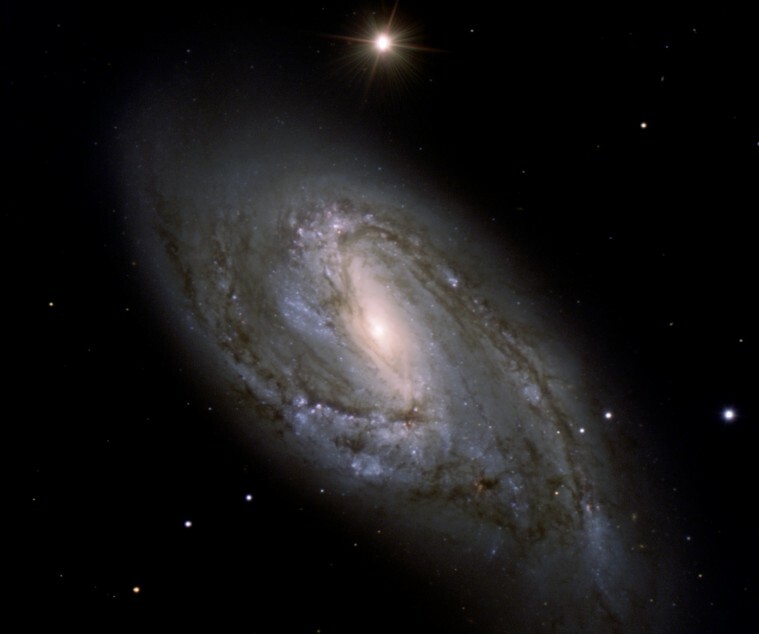 One result was this stunning view of beautiful spiral galaxy M66, a mere 35 million light-years away. 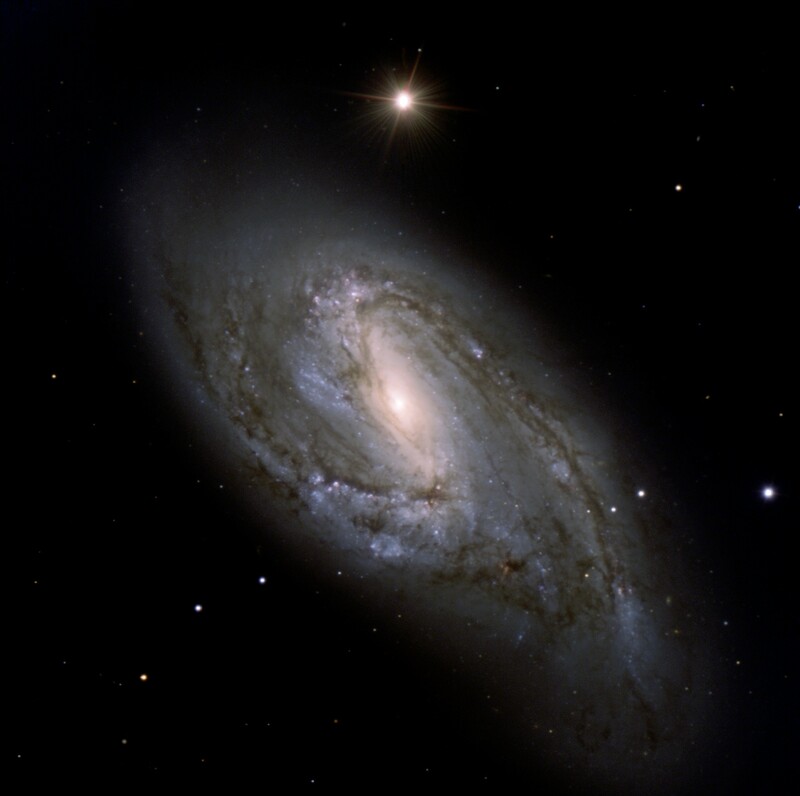 About 100 thousand light-years across with striking dust lanes and bright star clusters along sweeping spiral arms, M66 is well known to astronomers as a member of the Leo Triplet of galaxies. Gravitational interactions with its neighborhood galaxies have likely influenced the shape of dusty spiral M66.